A naked man covered in mud lies on a beach, while nearby a dreadlocked recluse reads from the Book of Exodus and a woman strikes a low soothing note from a Tibetan singing bowl. 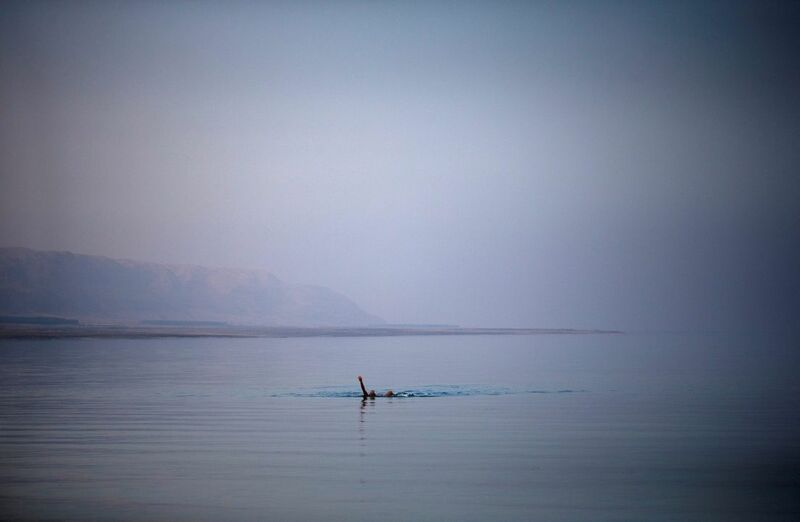 It’s sunset at the Dead Sea, where the New Age melds with a biblical vista in danger of becoming a paradise lost. 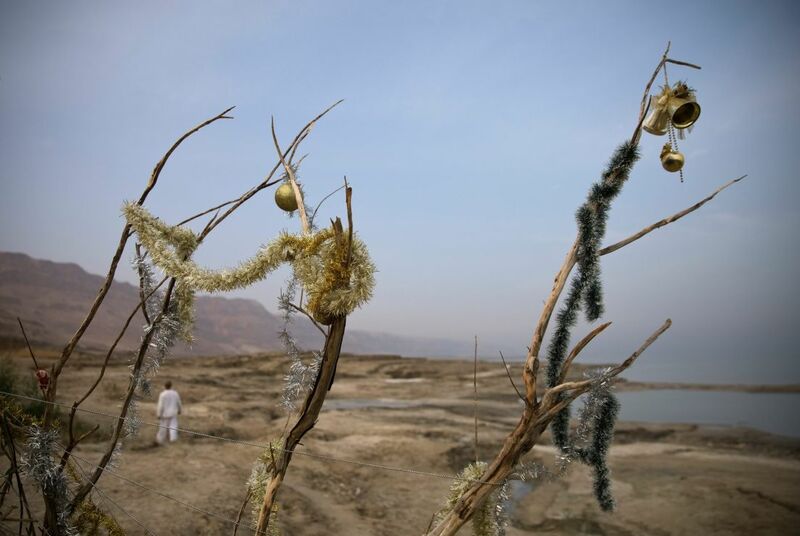 The Dead Sea’s salt-rich waters are vanishing and its shores are being devoured by sinkholes, making Metzoke Dragot beach one of the last unspoiled spots at the lowest point on the planet. 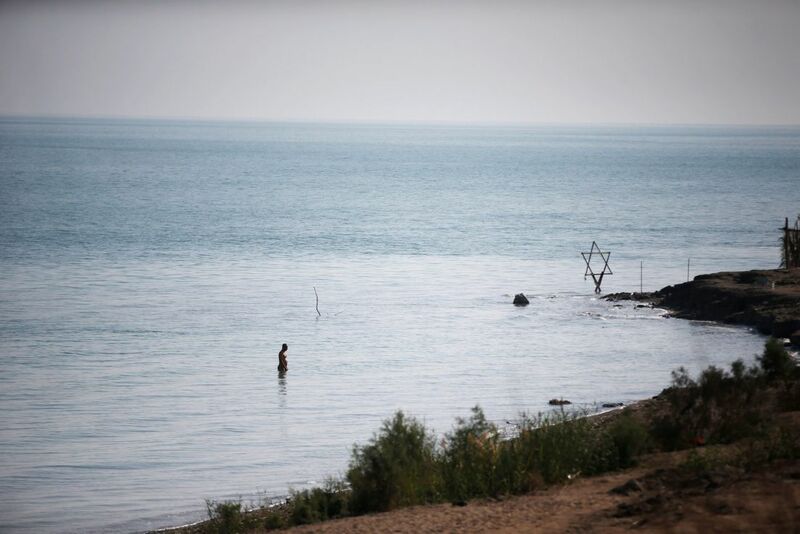 Over centuries the ancient lake has drawn monks, hermits, small Jewish sects and early Christians, travelers seeking spiritual elation and tourists who enjoy floating in the highly-buoyant water and covering themselves with its mineral-rich mud. But in the past few decades, ecological damage has been devastating. 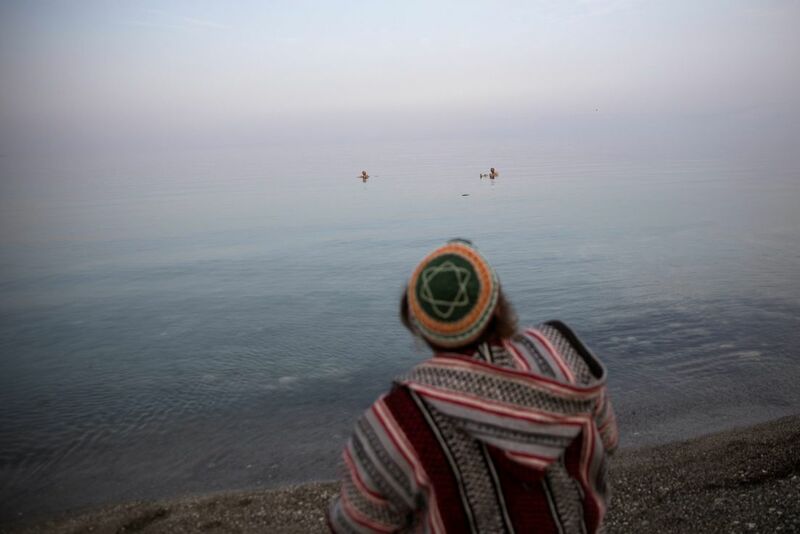 The Dead Sea is disappearing at a rate of more than a meter (three feet) a year, mainly because its natural water sources, which flow south through the Jordan River valley from Lebanon and Syria, have been diverted for farming and drinking water. 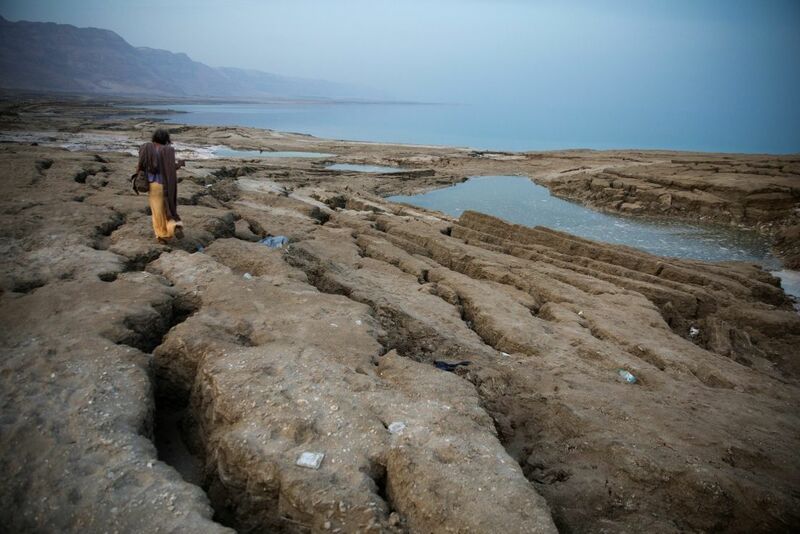 Mineral mining by Israeli and Jordanian potash producers account for further damage. In the past few years, beaches have shut down as signs warning of the danger of sinkholes have sprung up along the shoreline. A rocky trail leads down from the desert road to Metzoke Dragot. 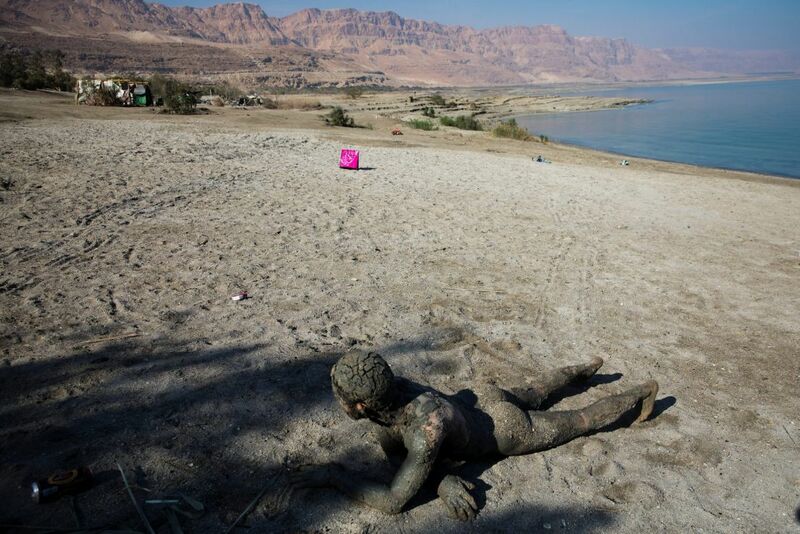 The beach is in the northern part of the Dead Sea that borders Israel, the occupied West Bank and Jordan. 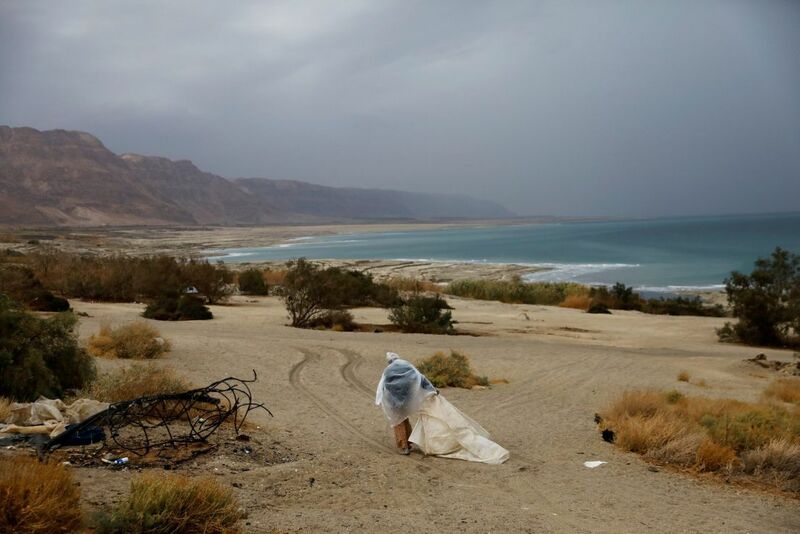 A handful of makeshift camps or “Zulas”, Hebrew slang for a hangout, dot the beach. They are mostly built with branches, tarp and old sheets that provide cover from the baking sun. High season here is during the winter when the heat is bearable for most. And there are also those who choose to stay - indefinitely. They seek refuge from modern day life and hope to avoid the rat race. “Half the world is hi-tech. I‘m with the other half,” said Mark, who did not give his surname and said he was about 60 years old. Often relying on the kindness of strangers for food, he has lived on the beach for the past 10 years, without electricity, or a mobile phone. 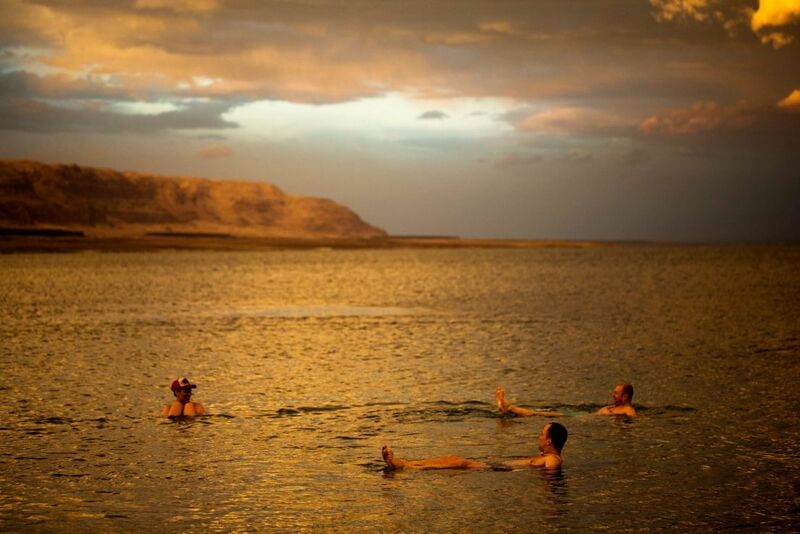 Many visitors to the Dead Sea come for the therapeutic properties associated with its minerals. Jade, a former fire-fighter from New York who did not want to give her full name, said she came for healing purposes and had planned to go back to her home in Jerusalem after a while. She’s now been here over a year. Her Zula is lined with crystals, herbs growing in plant pots, books and packets of food she brings once a week on the bus from Jerusalem.